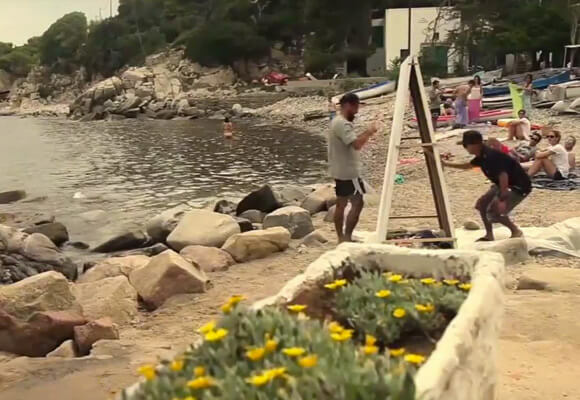 “I Love Med” is a documentary that shares the experiences of various urban artists in the areas around Costa Brava, all shot during the hot catalan summer. This is a quite ambitious project which has managed to gather over 40 artists and celebrities such as Joan Manel Serrat, Jordi Roca i Fontané, J.Loca, Pez, Fasim, Zosen and Btoy among others. An experience where the most creative side of mankind is blended with the mediterranean nature. The aim of this documentary is to help Mediterranean bring urban art to the people.